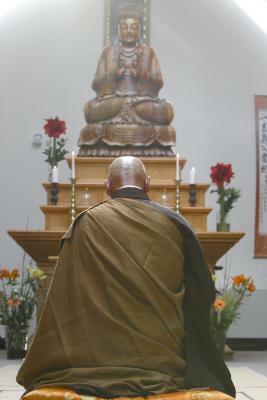 Discovering the practice of Soto Zen, learning to meditate and finding a place of practice in a town or in a monastery. Several retreat periods are offered by the buddhist monastery Ryumonji (Alsace, France) during the summer. 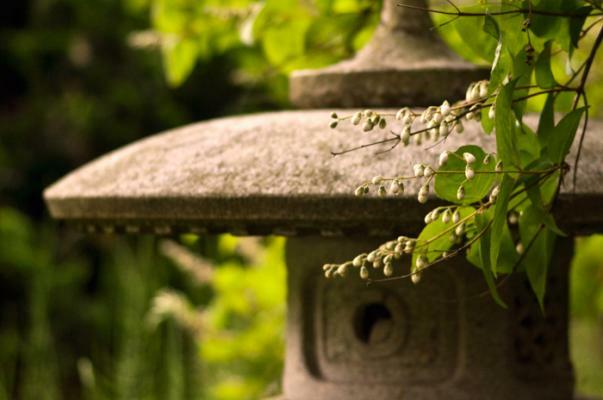 There is a special reduced rate if you come for a three week period of zen buddhist practice and meditation (zazen). Beginners are welcome to attend during this summer period, there will be introductions organised specifically for them and a monk or nun will be available to assist them. 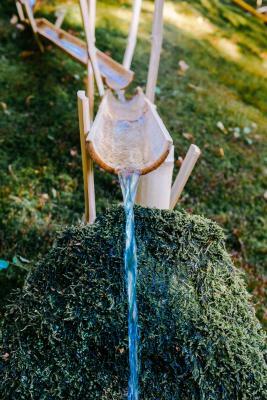 We are pleased to offer you to download the 2019 program of the Ryumonji Monastery (France - Alsace). 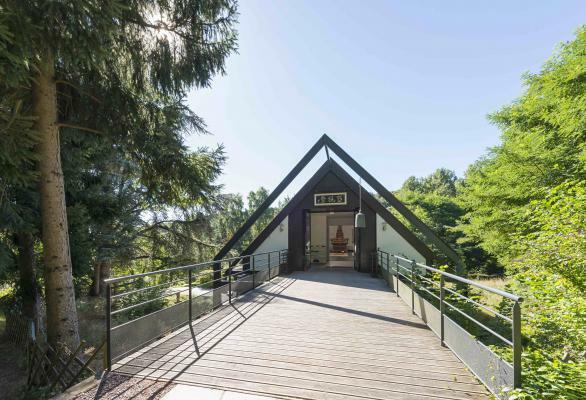 You will find the different spiritual retreats, short or long term programs, rates, and the list of places of practice related to the monastery in France, Germany and Luxembourg. In the life of a Zen practitioner, the ceremony of Jukai is a crucial step. It consists in receiving the precepts (Kai) of the Bodhisattva and, by doing so, of taking refuge in the three treasures: Buddha, Dharma, Sangha. Zazen, seated meditation, is the practice which allowed the Buddha to attain enlightenment 2600 years ago. It is the heart of Zen Buddhism, during which attention is placed on the exact alignment of the posture, the natural flow of the breath, and the rise and fall of thoughts. 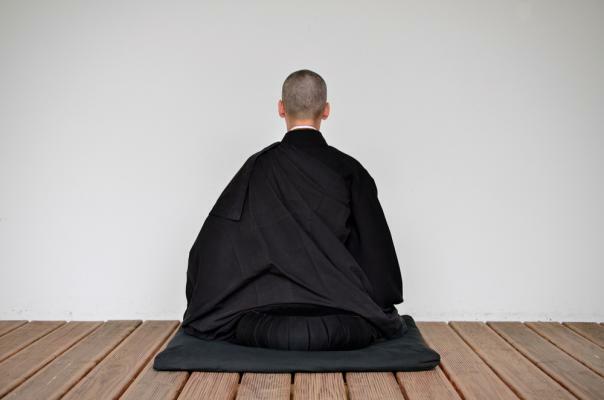 Zazen is also known as Shikantaza or simply sitting. Regular practice of zazen generates a peaceful mind, a clear spirit, and can create true stability in the midst of the many challenges inherent in human existence. The secret of Zen is to simply sit, without goals or expectations of profit, while focused on the seated posture. Situated betwen a vast forest of several thousand acres and the small village of Weiterswiller (50 km north of Strasbourg), Ryumon Ji Monastery consists of several buildings at the centre of which lies the Buddhist chapel. There is also a vegetable garden, a flower garden, a garden of medicinal herbs, and a rock garden. 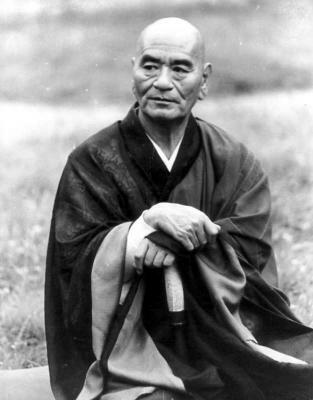 On the advice of his teacher, Taisen Deshimaru came to Europe in the beginning of 1967, where he remained until his death in 1982. France became the European landing place for Zen Buddhism, and it offered an ideal terrain in which to sow a Zen both anchored in daily life and present in the social world. 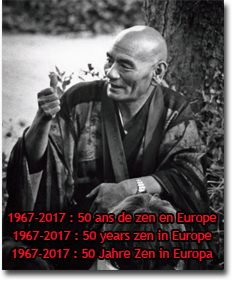 During the 15 years he spent in Europe, Master Taisen Deshimaru created more than 100 dojos in cities across Europe, and he founded the first major Zen Temple in Europe, La Gendronnière, located in the Loire Valley. The house of Dâna is a three-floor building located in the enclosure of the Ryumon Ji monastery. There is a Buddhist chapel on the top floor, accessible from the street and open to the public. On this floor, there is also a room for teaching and kesa sewing. The ground floor houses the dojo (meditation room), surrounded by wooden terraces and a stone garden. The basement is reserved for various works with a workshop and storage rooms. Bitte sprechen Sie uns an, wenn Sie Ansprechpartner suchen in den Dojos oder im Ryumon Ji. Gerne stehen wir für allgmeine Auskünfte zur Verfügung.